Staff Force, the best Texas employment agencies Houston, Dallas, San Antonio and Austin have to offer, is a highly skilled agency with more than 25 years experience matching job seekers with job placements in light industrial, administrative and clerical, and skilled trade. We are proud of our Texas roots, and we stick true to the Texas values of hard work, hospitality, loyalty and trust. The staffing professionals at our employment agencies understand that finding the right job placement is a highly personal matter for the job seeker, and we are committed to doing more than placing individuals in just any job. It is our mission to place candidates in positions that are the best match for both the company and the employee alike. 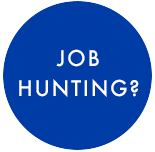 Are you a Job Seeker? Become a Member Of Our Work Family And Get All The Benefits. When you choose Staff Force, the best employment agencies Houston, Dallas, San Antonio and Austin have to offer, as your employment agency, you become a member of our work family, and you can be sure that if we wouldn’t send one of our family members to a job, we won’t send you on that job either. With more than 25 years of experience, the professionals at Staff Force’ employment agencies recognize not every job is right for every person. Our success has been built on providing not only great placements for our employers, but making sure the people we bring on board are satisfied as well. With your background, expectations and schedule in mind, we take the extra step in locating the right fit for you. Job Placement That Makes Sense for You. We keep your background, expectations and schedule in mind when locating the right position for you. Our team of professional recruiters at Staff Force, the best Texas employment agencies Houston, Dallas, San Antonio and Austin have to offer, will go beyond the traditional employment agencies to ensure that both you — the job seeker — and the employer have the same expectations in mind. In order to accomplish this task, every selected applicant will sit down for a personal interview and skill assessment with our employment experts. Our search to find the right job placement for you is personal and customized to your individual skills, talents and personality. In order to make your transition into your new job placement as seamless as possible, Staff Force also provides job candidates with employee handbooks, safety incentives and selected benefits including insurance and a weekly payroll option. We know that not every job is right for every person. Over the years, our success has been built on providing great placements for employers, and in making sure the employees we bring on board are fully satisfied with their job placement. It is our goal to help job seekers find fulfillment in their new role and to achieve their personal career goals. We offer great benefits to our temporary workers, such as insurance, weekly payroll and on-site forklift certifications. ©2019 Staff Force All Rights Reserved | Website by Frozen Fire.